Groups > Persecuted Christians > Discussions > Topic: PLEAS FROM GOD'S WORKERS IN OTHER COUNTRIES! Topic: PLEAS FROM GOD'S WORKERS IN OTHER COUNTRIES! Luke 8:1 "After this, Jesus traveled about from one town and village to another, proclaiming the good news of the kingdom of God. 3Joanna the wife of Cuza, the manager of Herod's household; Susanna; and many others. These women were helping to support them out of their own means." 3 John 1:5 "Dear friend, you are doing a good work for God when you take care of the traveling teachers (Christian workers) who are passing through, even though they are strangers to you. 6They have told the church here of your friendship and your loving deeds. You do well to send them on their way in a manner that pleases God. 7For they are traveling for the Lord and accept nothing from those who are not Christians. We know that the Apostle Paul was originally a Pharisee. That means that he was a religious and political leader. Later he became a missionary. Apparently he ran short of money at some point in his life and had to make tents in order to make ends meet. But he was certainly a fund-raiser. In fact, he writes more about fund raising than any other person in the Bible. These are some verses about the apostle Paul raising financial support. 1 Corinthians 9:7, 11, 12 Who serves as a soldier at his own expense? Who plants a vineyard and does not eat of its grapes? Who tends a flock and does not drink of the milk? 11. If we have sowed a spiritual seed among you, is it too much if we reap a material harvest from you? 12. If others have this right of support from you, shouldn't we have it all the more? 1 Corinthians 16:17 I was glad when Stephanas, Fortunatus and Achaicus are arrived, because they have supplied what was lacking from you. 2 Corinthians 8:1-5 2 out of their most severe trial, their overflowing joy and their extreme poverty welled up in rich generosity. 3 I testified that they gave as much as they were able, and even beyond their ability. Entirely on their own, they urgently pleaded with us for the privilege of sharing in this service to the saints. 5 And they did not do as we expected, but they gave themselves first to the Lord and then to us in keeping with God's will. 2 Corinthians 11: 8 I robbed other churches by receiving support from them so as to serve you. Galatians 6:6 Anyone who receives instructions in the word must share all good things with his instructor. Philippians 4:14-18 14 yet it was good of you to share in my troubles. 15. Moreover, as you Philippians know, in the early days of your acquaintance with the gospel, when I set out from Macedonia, not one church shared with me in the matter of giving and receiving, except you only; 16 for even when I was in Thessalonica, you sent me aid again and again when I was in need. 17 Not that I'm looking for a gift but I'm looking for what may be credited to your account. 18 I have received full payment and even more; I am amply supplied, now that I have received from Epaphroditus the gifts you sent. Make a list of family, friends, contacts. Write down their names. It is very important to write as many names as possible. Your coworkers, neighbors, cashier at the store, postman, all are potential supporters. Contact the people you listed and tell them what we are planning, what you plan to accomplish. Make a short mission statement of our goals. The people on your list do not need to be Christians. They may just be willing to help you help people. If they are Christians ask them to pray for our ministry and trips. After some time passes you will need to ask them for finances to pay for the ministry/trips. Remember, when you ask for their help, you are helping them. Most will be happy to consider serving God this way. The reason it helps the people you (or I) ask is that they get a chance to serve God and will be rewarded in heaven for it. They will also be able to feel good about themselves here on earth. It really is a win-win situation. Count the number of people you write down. Collect $10/100 and send to me. This is the amount you can raise easily. Tell them you know the contact and set up an appointment to talk. BROTHERS AND SISTERS I NEED YOUR PRAYERS! I AM HEARING DESPERATE PLEAS FROM DIFFERENT MEN AND WOMEN IN DIFFERENT COUNTRIES. I AM not in much of a position to do fund raising and these pastors and teachers, men and women of God; little known, seldom helped by the larger organizations, are in desperate need. Every one of these workers of God, chosen by God to do his work, facing poverty, anti Christian sentiment, and sometimes even danger, have asked me for help. I'm afraid that many times Americans do not respond well. These men and women of God believe that churches in America are deeply following the Lords will. Sometimes they are, but some times they have forgotten about Jesus command to help others. What I am asking you to do is to really pray! And to ask others to pray. I have communicated with these pastors and teachers, for several months and with Pastor Sirdar for a year now. I have recieved old fashioned mail from overseas from two, sending me photographs and I sent Pastor Sirdar a wedding card without telling him and he recieved it. I did searches on the internet: [ when he said his town was flooded, there was news of it] everything he told me about the communities are true. I know that some of you, perhaps many of you are in the same situation financially that I am in. I know some of you don't have a church to go to, and I know the barriers that one must face trying to convince others that money is needed. I also know that Jesus said that if you have the faith of a mustard seed, than you can move mountains. So I am asking you to have that much faith in your prayers, to ask others to pray, and if you know of anyone, who can make contributions through Western Union or Pay Pal that you ask them. 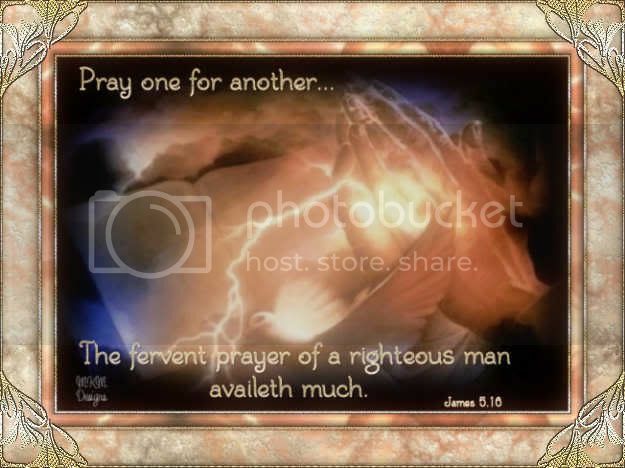 This of course is an entirely personal discision, and is completely up to you, but I ask that you at least pray, and not just once but on a continual basis.Please have a wonderful day and consider my request! PLEASE PRAY FOR THESE PASTORS AND TEACHERS! If you could pray for the Missionaries that work with the people of Papua New Guinea with Patapar Tribe, Madak Tribe and in Mexico with the Southern Tepehuan tribe. The missionaries work through the New tribes Mission that spread the Good News to tribal people throughout the world. There resources are limited, living conditions aren't all that great and then of course there is the language barrier. Plus, if you could pray the tribal people receive understanding. Thank you. An earthquake ravages villages in Pakistan. Please pray for the people of Pakistan and especially for the Christians, our brothers and sisters! Some traveled long distances on severely damaged roads to the provincial capital Quetta to plead for tents and emergency supplies as some villages still had not received help more than 36 hours after the quake. Want to help your brothers and sisters in Pakistan reach out with the love of Christ? Our co-workers in Pakistan have asked us to send 10,000 Action Packs as soon as possible. These Action Packs with basic living items inside are a huge blessing for people in need. The Action Packs are specially designed, preprinted vacuum bags that are filled by you with blankets, clothing, towels and other new or gently used items. Each Action Pack comes with instructions about what can be placed inside.